Mankind, sit up and take note. With one seamless effort, I have – once again – proven myself the best parallel parker in the universe. Gold medal, AP. Here are Julie and Mel, my former roommates who were bridesmaids in a friend’s wedding last weekend. They are stunners. I miss them so much I can hardly breathe. Speaking of weddings and photos, my brother and sister-in-law are blowing the house up (is that a term? Can we make it a term?). I was at back-to-back weddings with them in September, and I think you should check out the pictures from Josh & Meg‘s and Kyle & Emily‘s weddings. I’m entirely impressed with your parking skills. Like seriously. 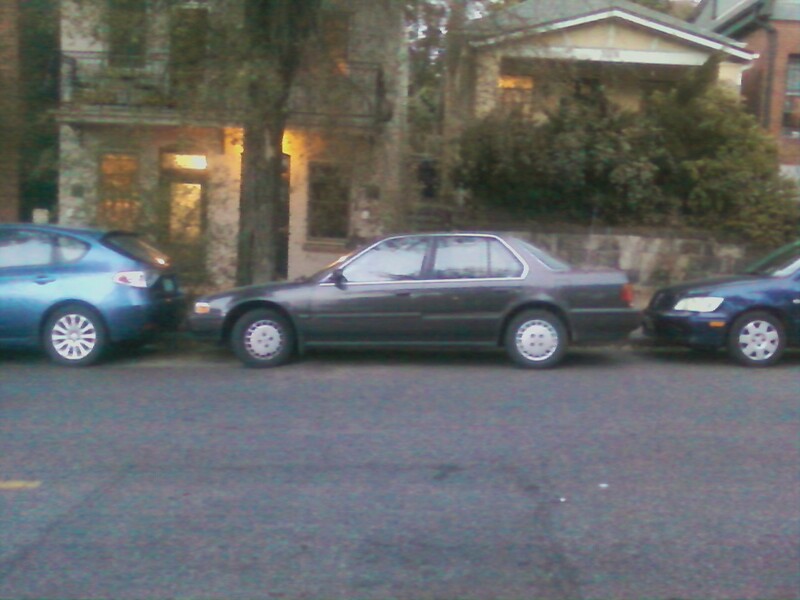 If there were an olympic sport for parallel parking I would highly encourage you to compete. Photo of Mel and Julie? So GORGEOUS! Now, be honest, didn’t you just “tap” both of those other cars? Even if I DID “tap” the other cars, it would be perfectly legitimate. I mean, hello – they live in the city. They signed up for it. But no, I did not even tap them. Ask Duane – he was there. Kyle and Emily’s wedding is the CUTEST MOST WONDERFUL MAGICAL WHIMSICAL WEDDING I have ever seen!!! I mean– Josh and Meg’s is gorgeous too. Totally. But I seriously want to gobble up Kyle and Emily’s. Every single thing about it– getting ready at the vanity in the sunny field, the window frames hanging from the trees, the KAZOOS, the skipping….! Amazing. I’m still freaking out over it. Congrats to the Forest Prince and his little Fairy!